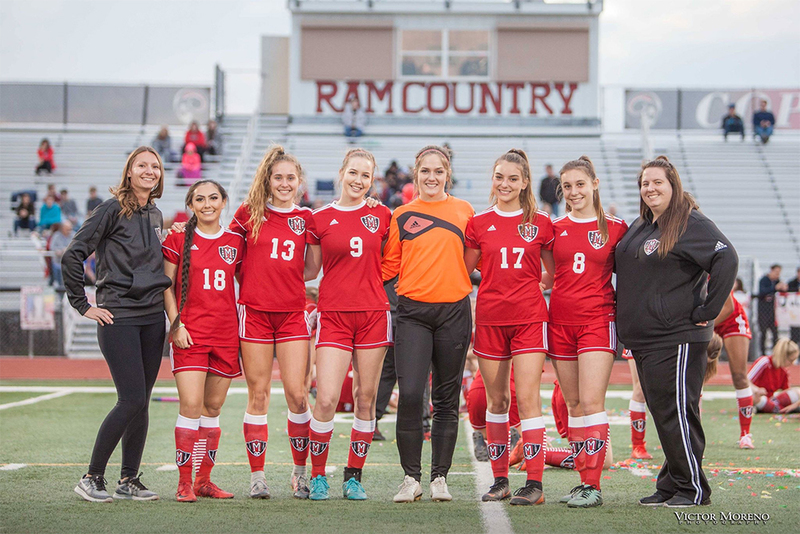 Maricopa High School girls’ soccer pulled an upset Thursday night to qualify for the state playoffs. The 18th-ranked Rams clobbered No. 15 Independence on the road in the play-in round, 6-1. Five Rams scored, and seven had shots on goal. Senior Shannon Coutre scored two goals for Maricopa. Senior Bianca Olivares, junior Payson Hacker and sophomore Jezelle Magallanes each scored and had an assist. Freshman Lexy Rowe also kicked in a goal. The results lifted Maricopa into the 5A state championship bracket for the first time. They will play No. 2 Casteel at 4 p.m. Saturday.